It's Monday, and time for a new challenge at Eureka Stamps. This is my last post as a design team member (at least for now). I've been on the team for a year already, and it's time to give someone else a chance at these delightful images! I used 2 Eureka Stamps digis -- Bunny with Flowers (digi13703) and sentiment "Spring has Sprung" (digi8804). I colored the bunny with Faber-Castell Polychromos colored pencils. I used 2 sizes of the same Spellbinders label die. One, I cut with Close To My Heart glitter paper to add bling to the card. The shaped card is a cutting file from Pretty Paper, Pretty Ribbons. The designer paper and the butterfly bling are from Close To My Heart. I hope you can join us this week at Eureka Stamps for our "Add some Bling" challenge. It's going to be fun! This is so cute! 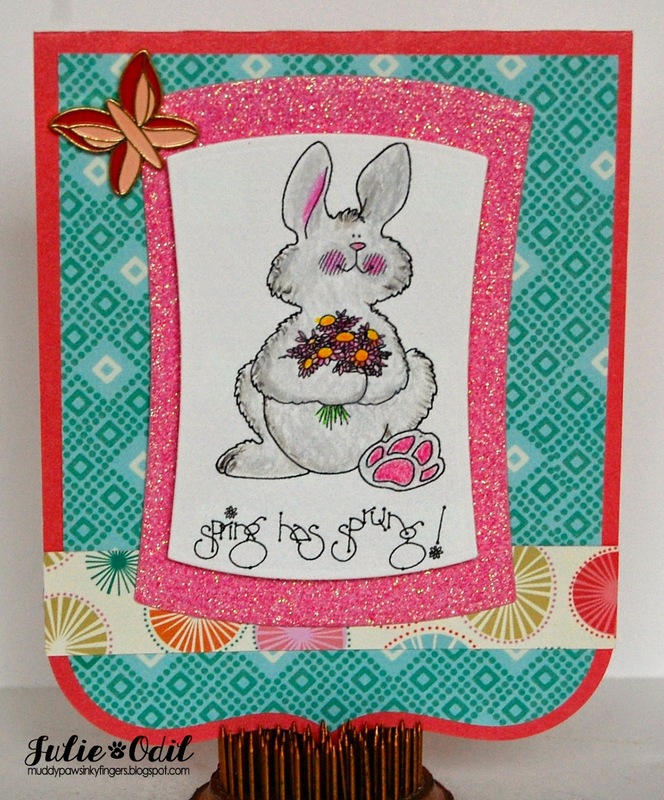 Love the bunny and the fun card shape! Party Animal! for Amy Doodle's Stamp Co.